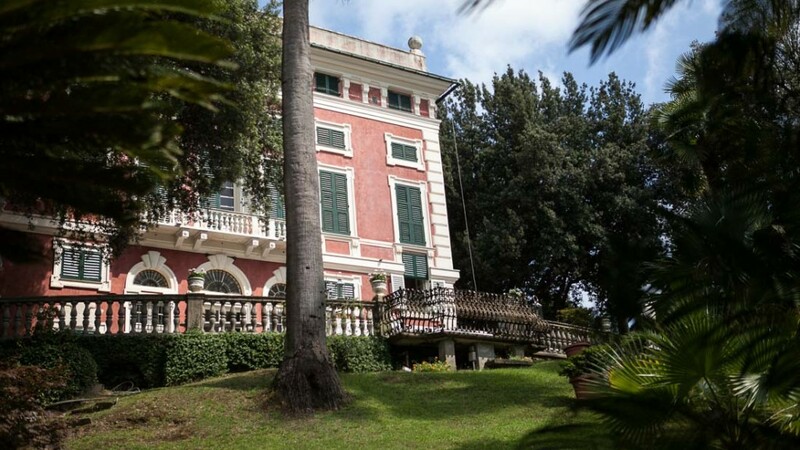 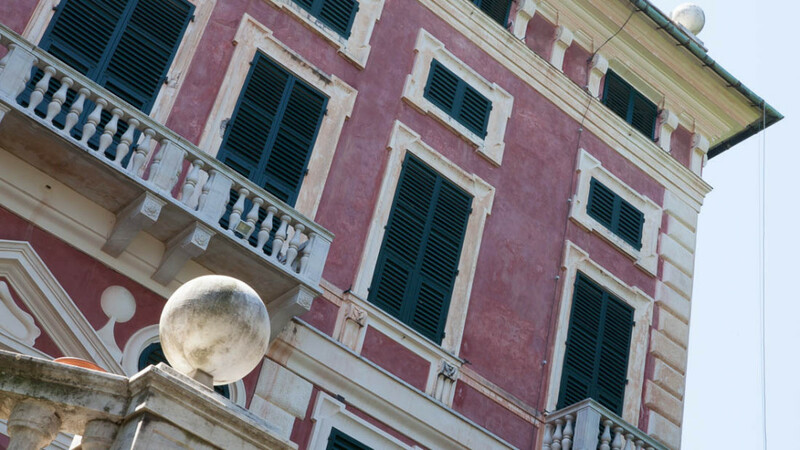 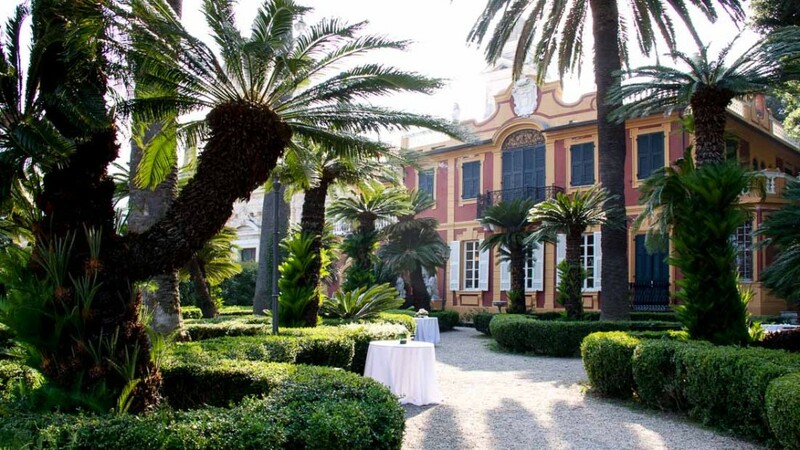 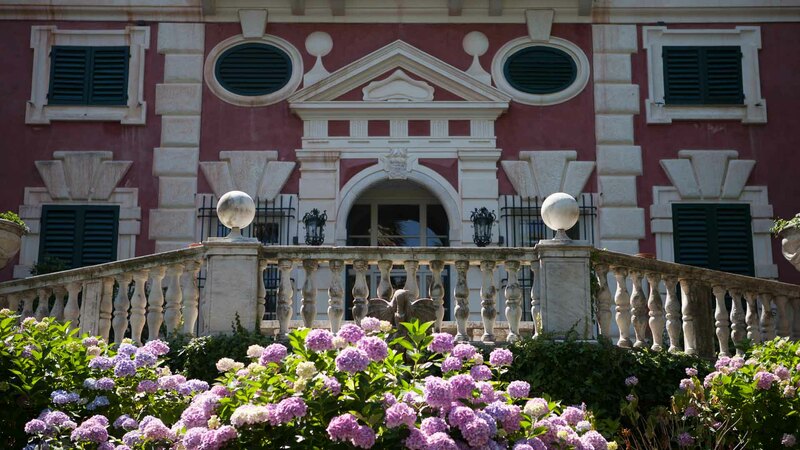 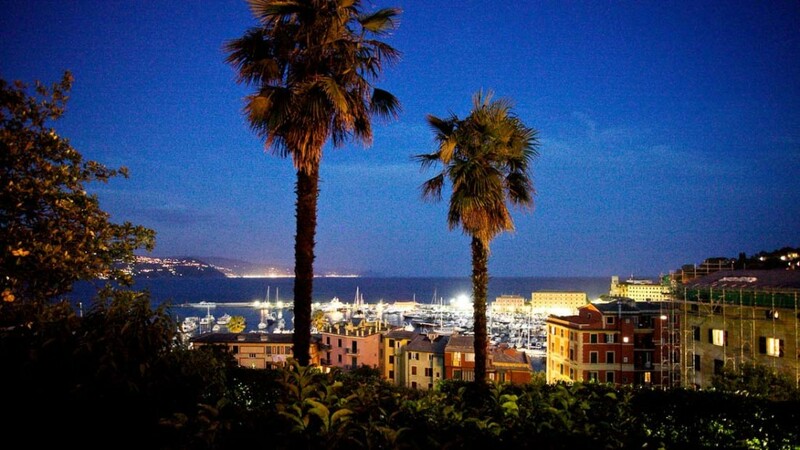 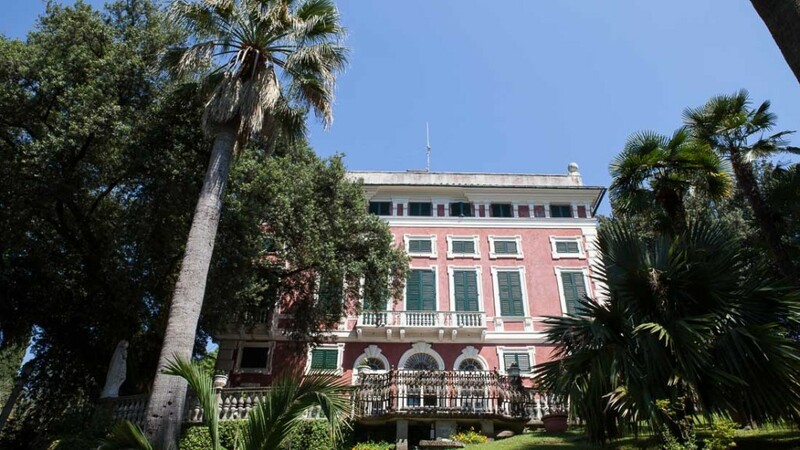 The Villa Durazzo complex, dominating the scene in the centre of Santa Margherita Ligure (Ligurian Riviera), comprises some of the most significant historical buildings of the town, immersed in the greenery of its century-old grounds, just above the harbour and sea. 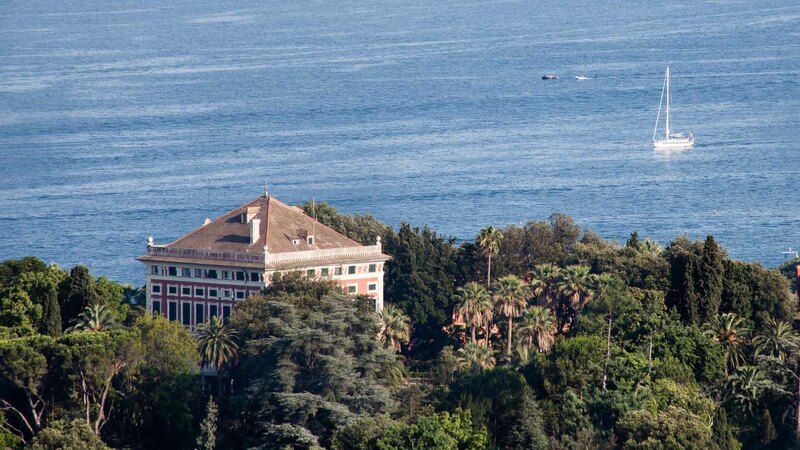 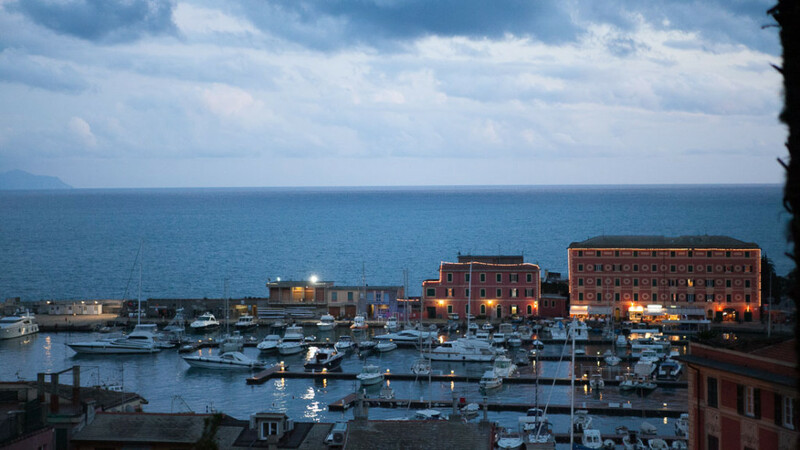 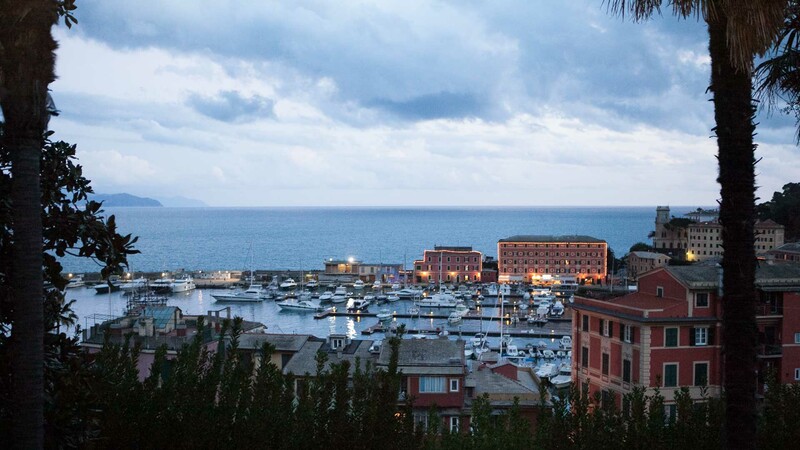 A highly fascinating context, where the seventeenth century Villa Durazzo, the nineteenth century Villa San Giacomo and Villa Nido, the sixteenth century Castle, and the splendid Gardens which enclose them all, stand out. 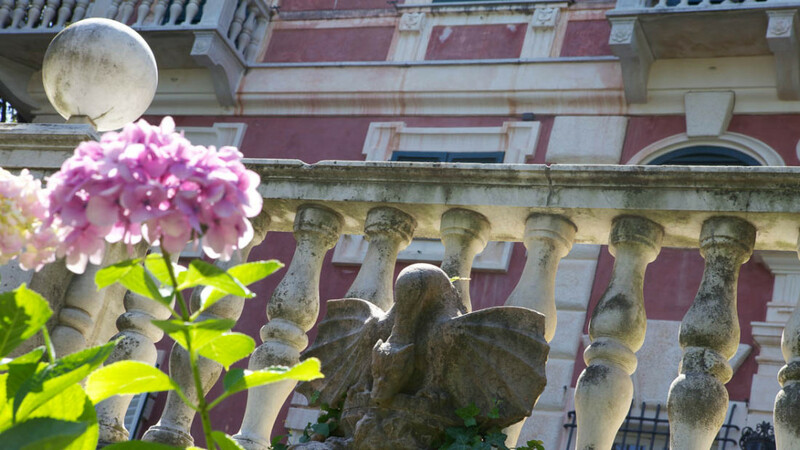 The Baroque Church of San Giacomo is situated on the edges of these gardens. 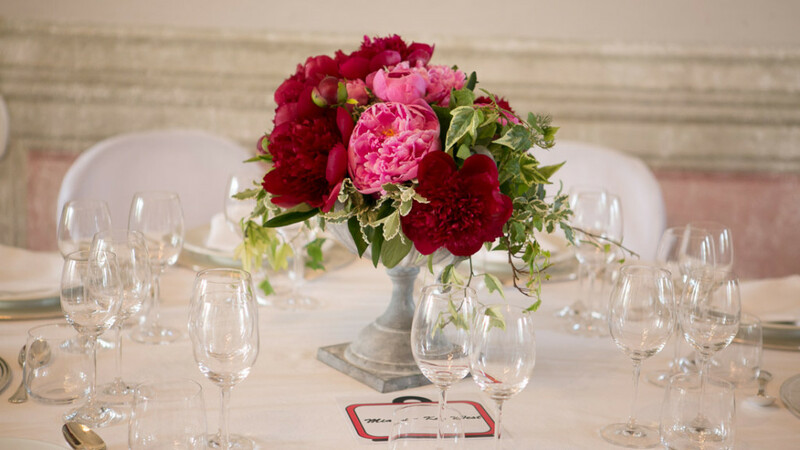 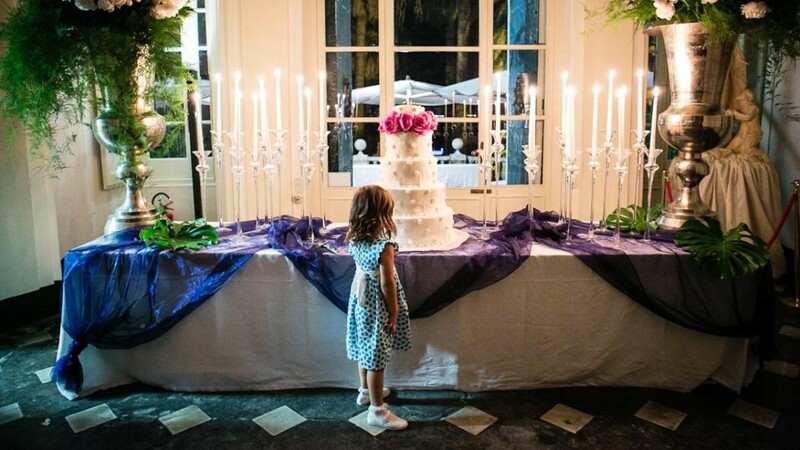 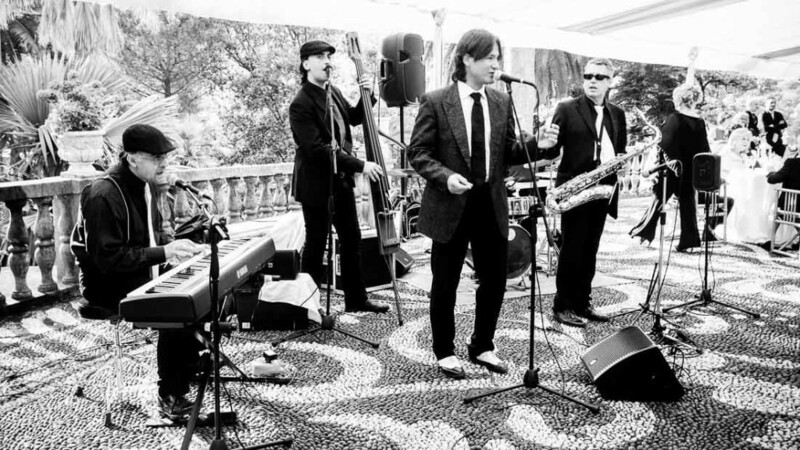 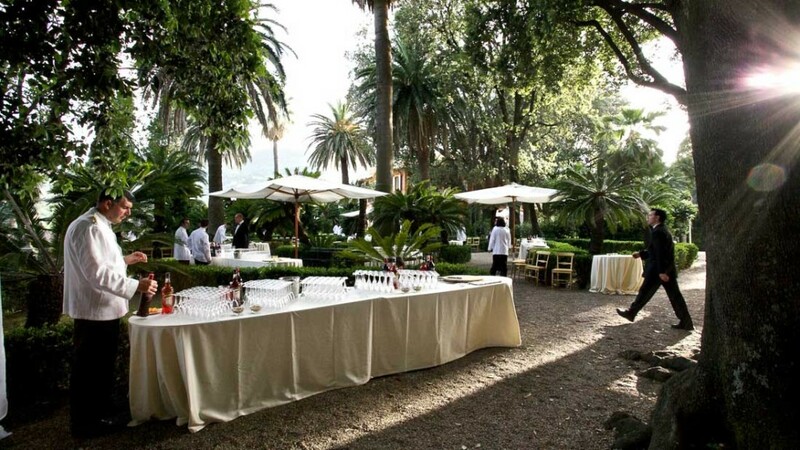 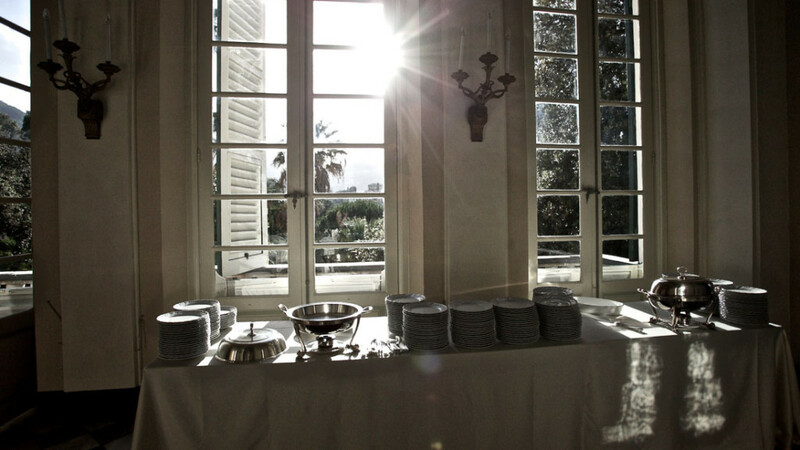 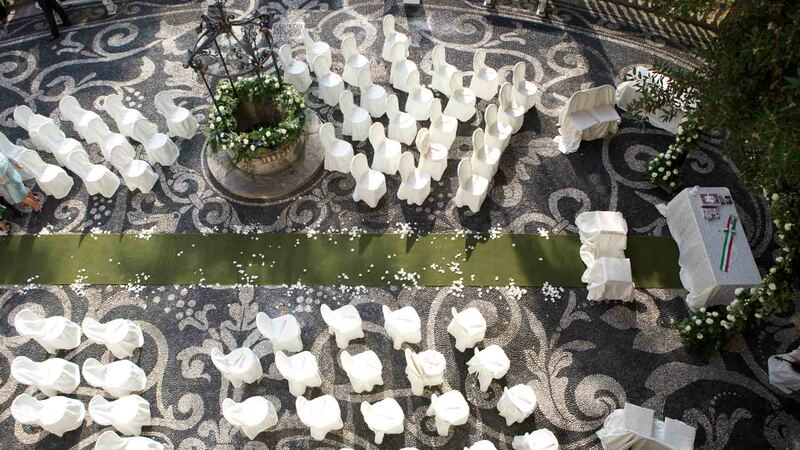 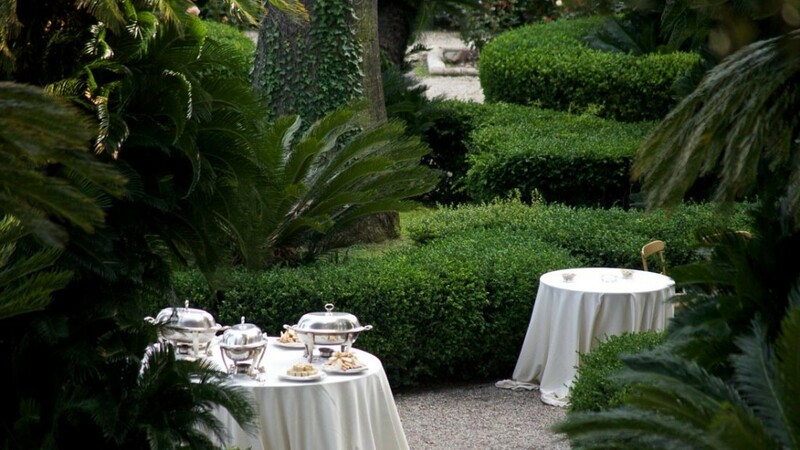 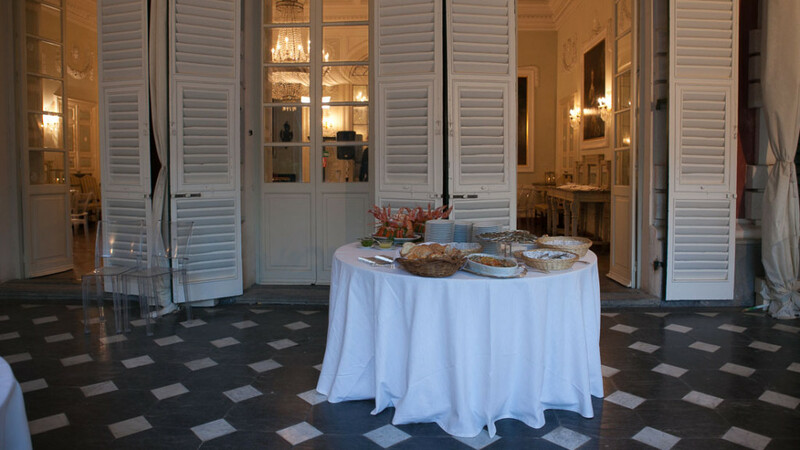 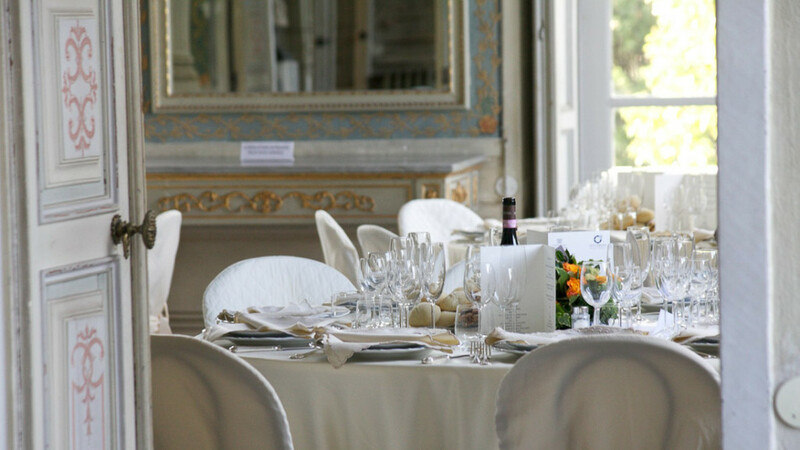 The whole of Villa Durazzo and Gardens is being presented as the ideal and particularly fascinating place for making special some private events such as weddings, receptions, christenings …. 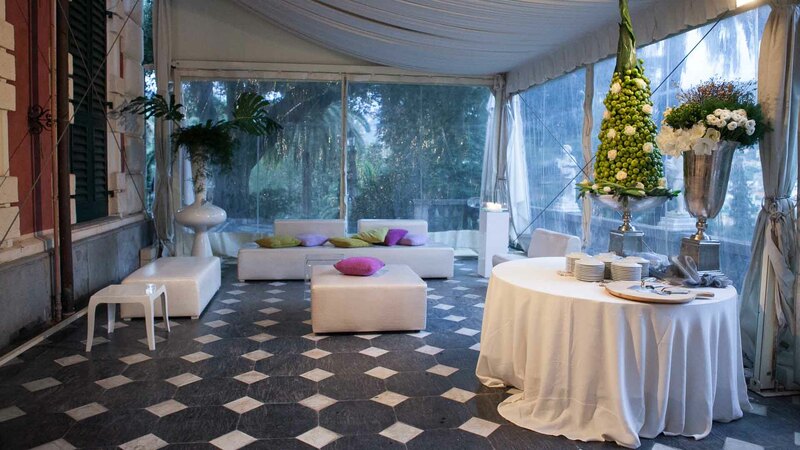 as for the organisation of congress, seminars, gala dinners, photos set, market exhibitions, product showrooms. 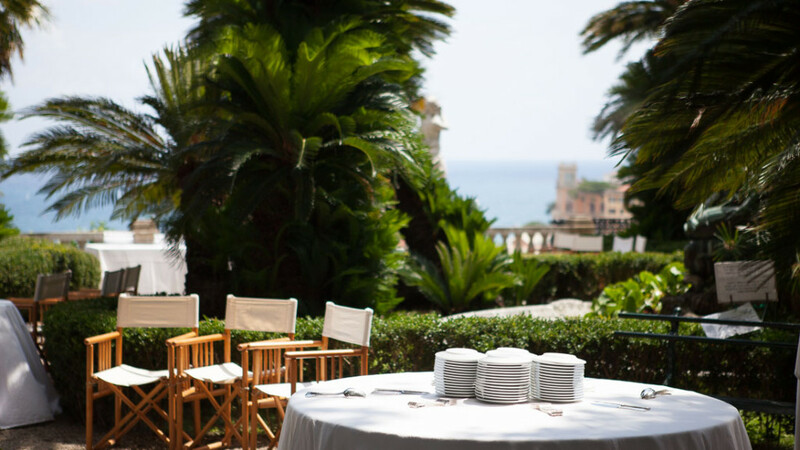 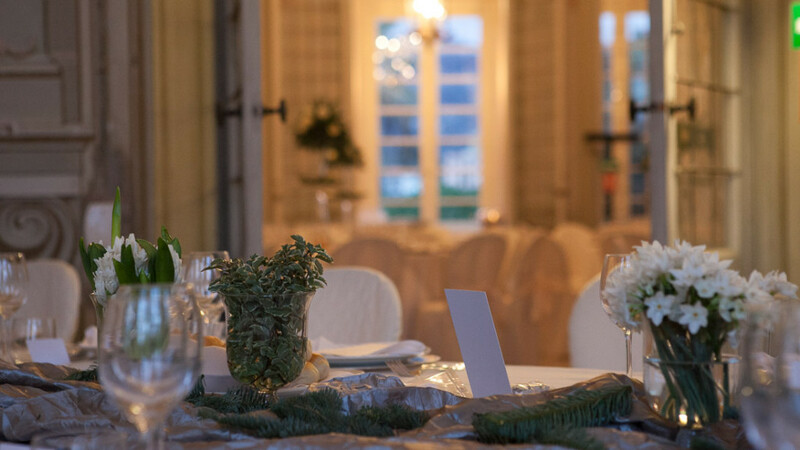 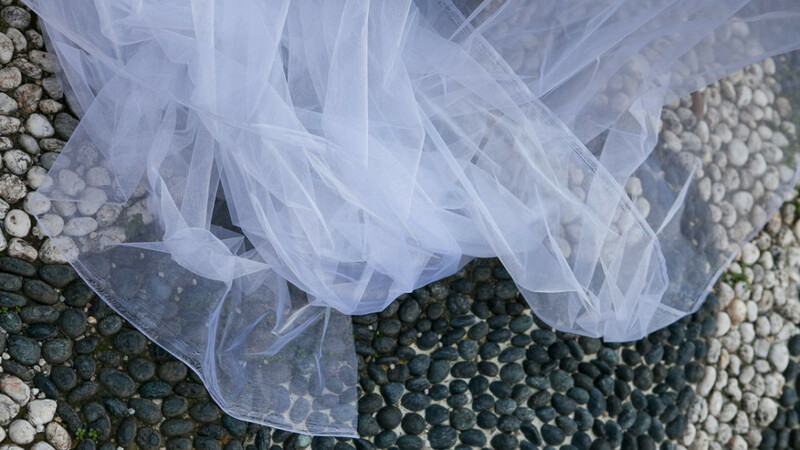 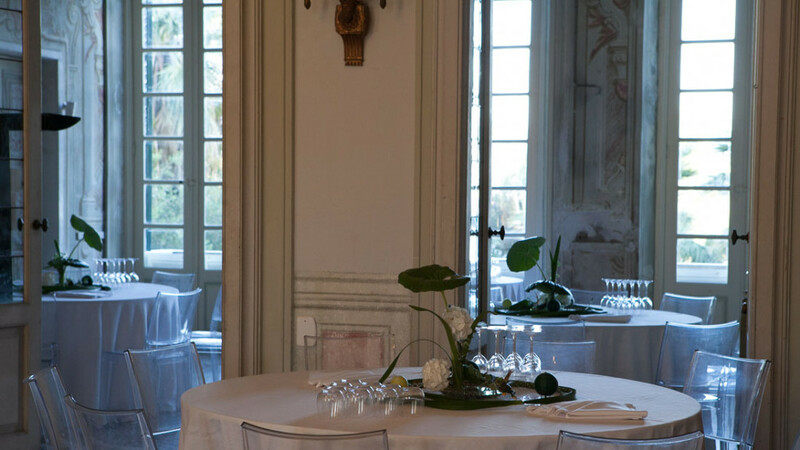 Villas and Gardens are perfect locations for wedding parties, and, if you want, you can celebrate the religious or civil ceremony in the San Giacomo Church or in Villa Durazzo, Villa San Giacomo and the Castle. 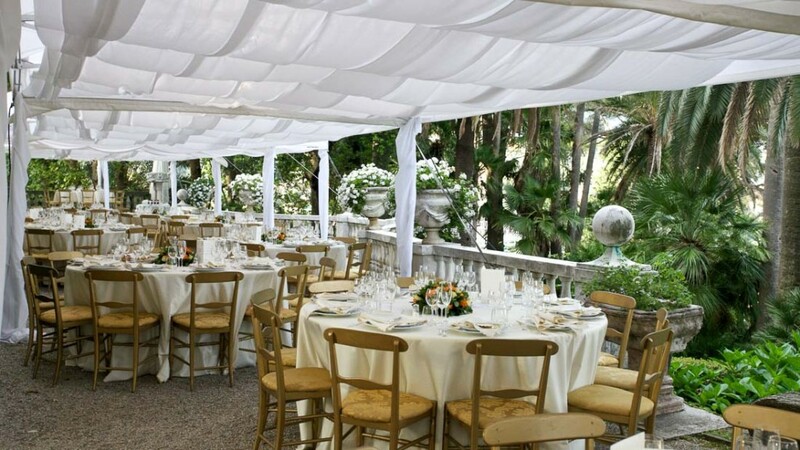 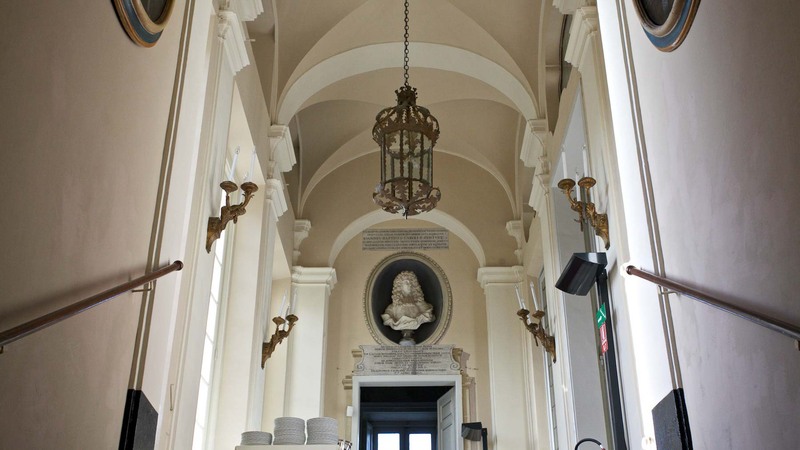 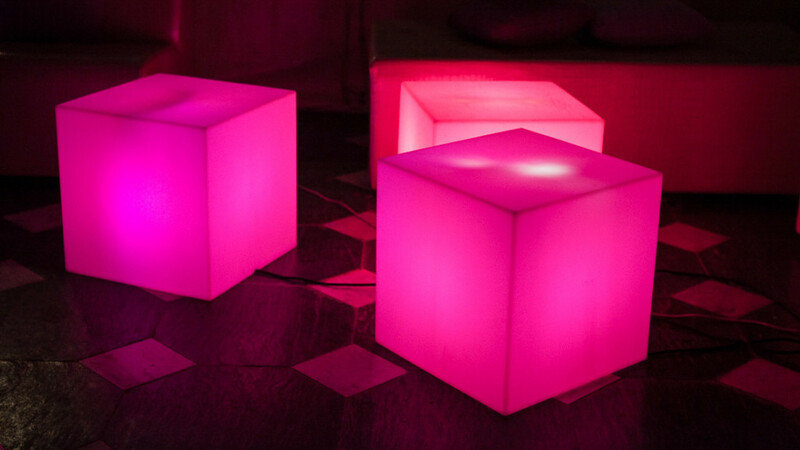 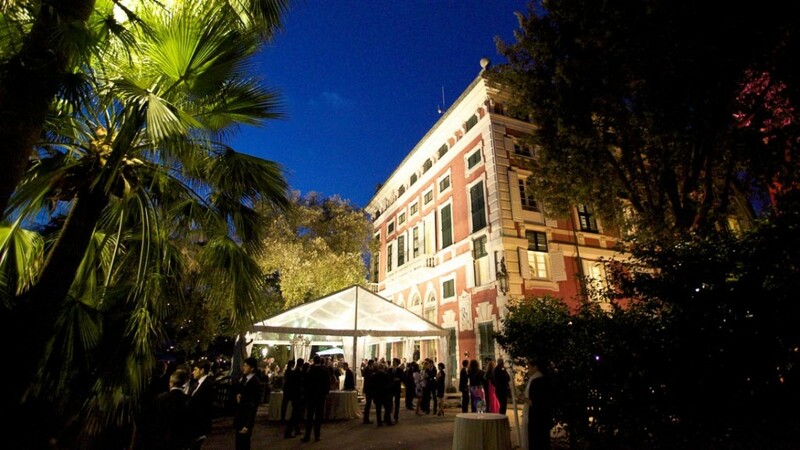 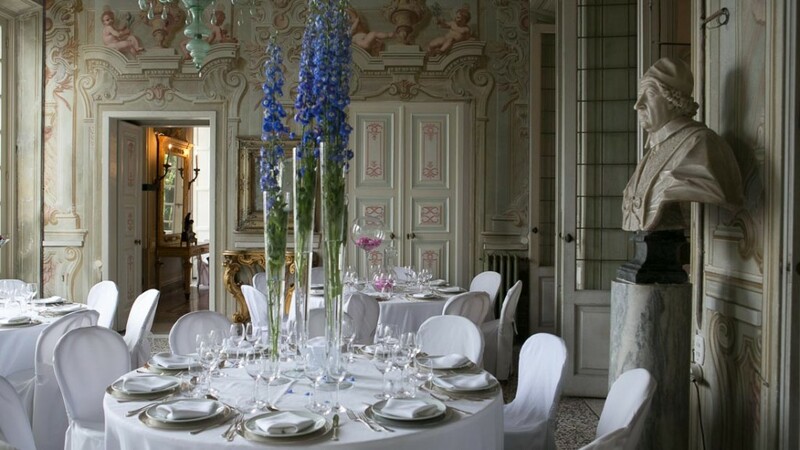 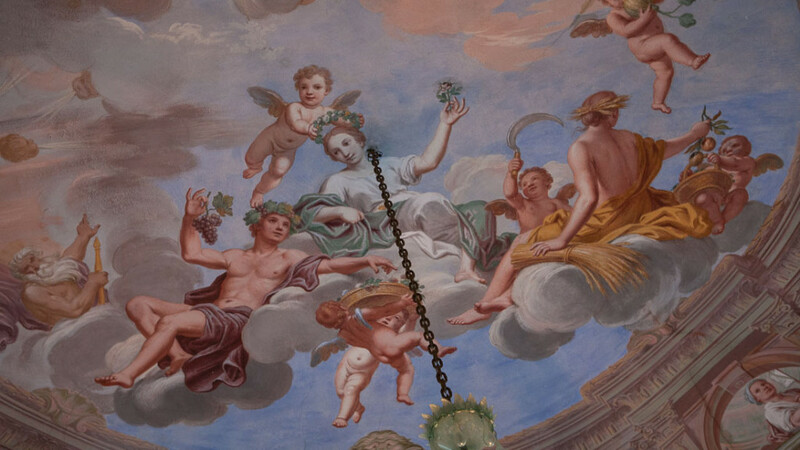 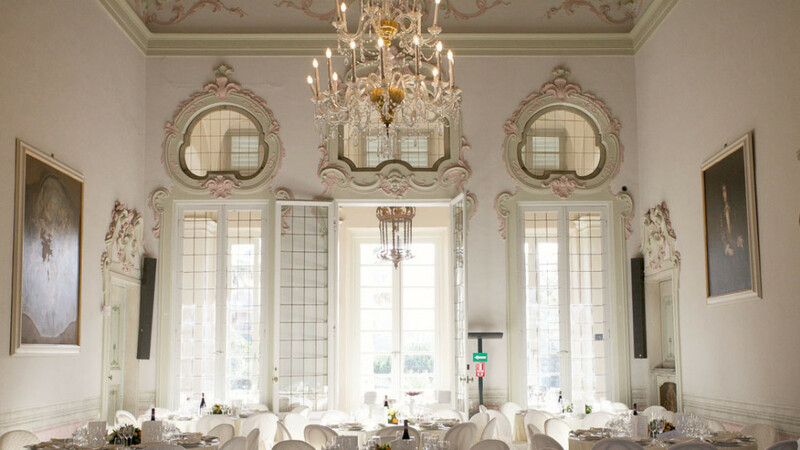 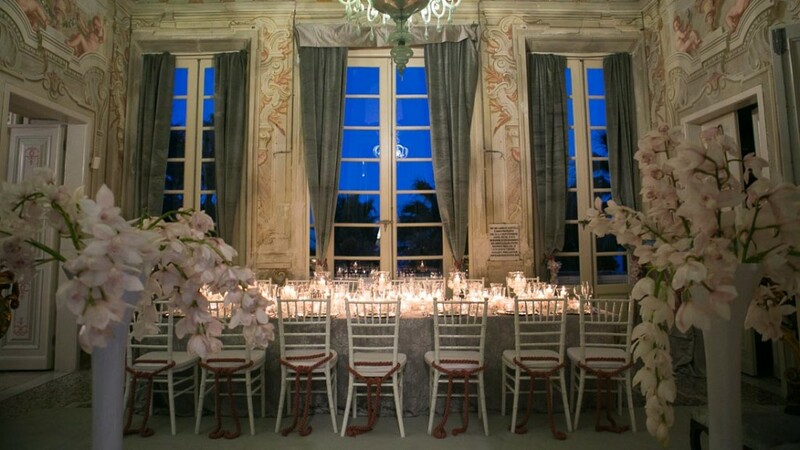 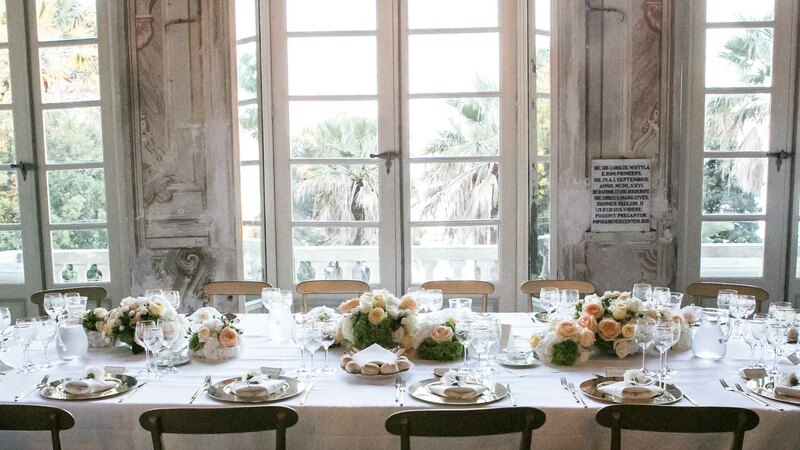 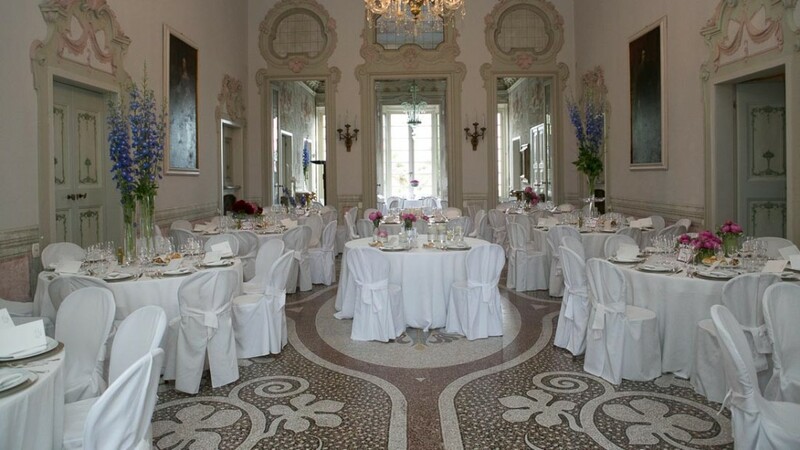 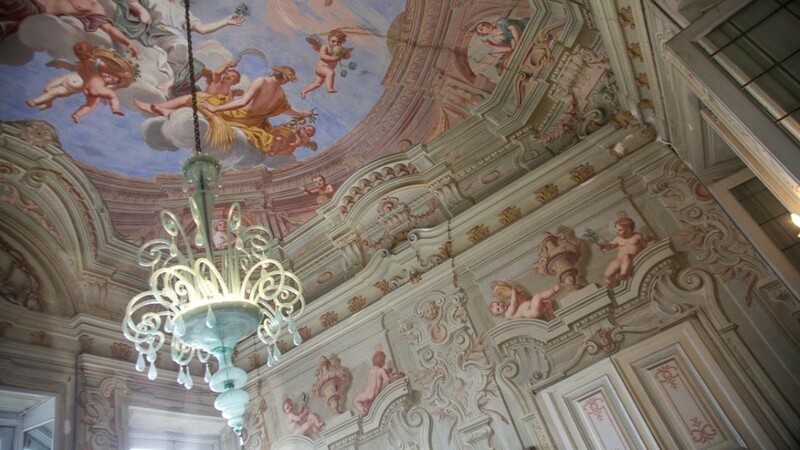 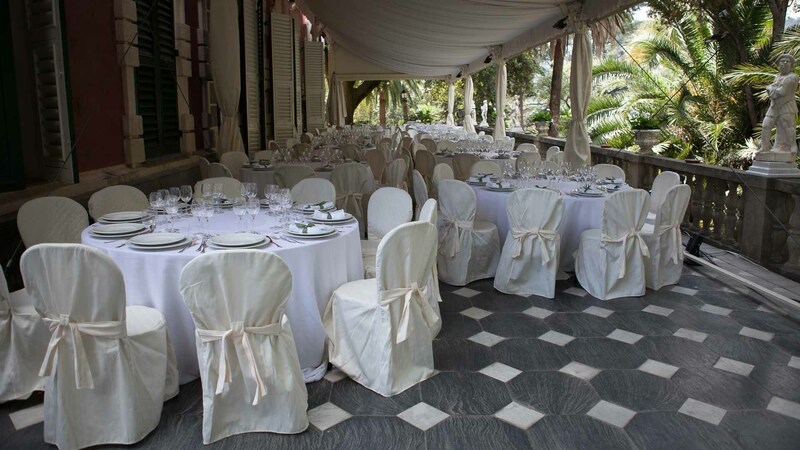 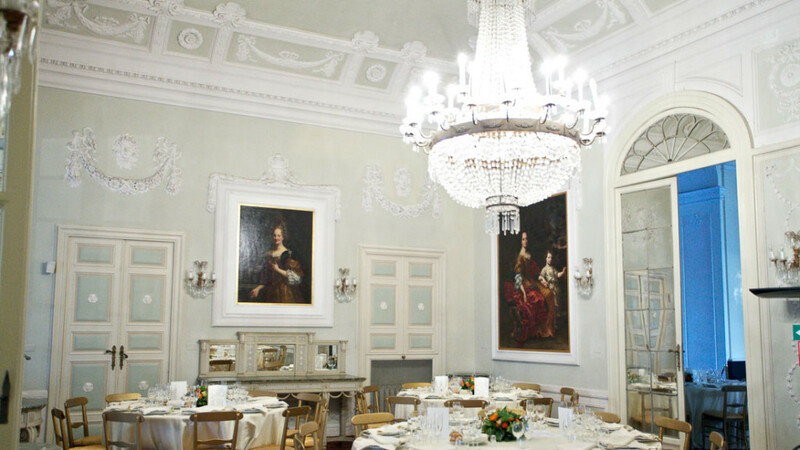 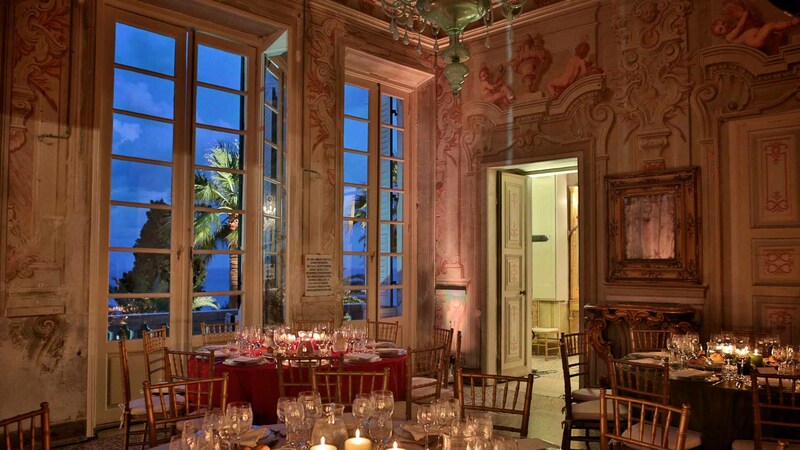 Civil Weddings Rooms: in Villa Durazzo : “Sala Vaymer” and “Salone degli Stucchi”; in Villa San Giacomo : “Salone Ortensia” and “Salottino delle Rose”; in the Castle: “Sala Superiore”. 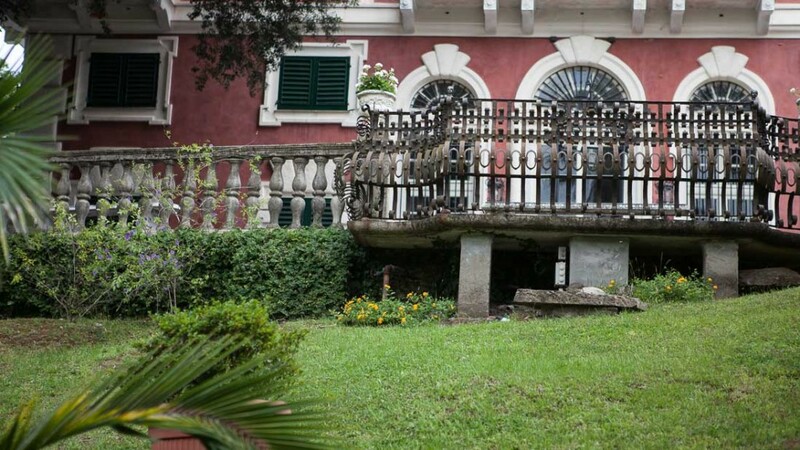 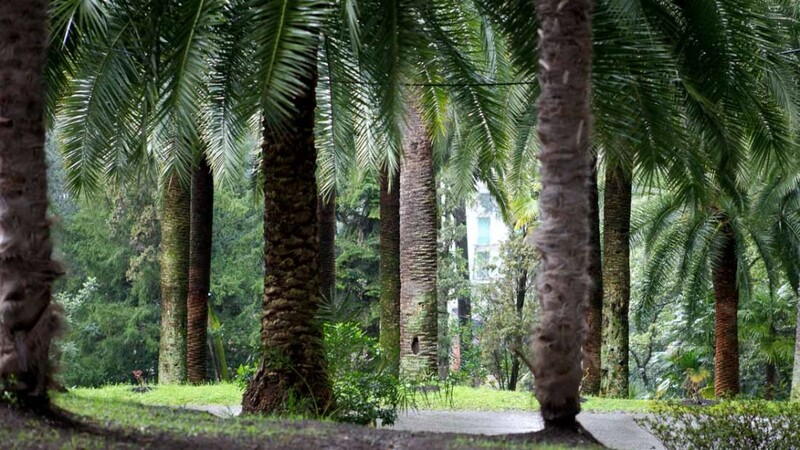 Since the end of 2006 the Gardens of Villa Durazzo, for their beauty, history and originality, have been included in the circuit of “Great Italian Gardens“, which recognises and promotes the most beautiful historical Italian gardens, and twinned with the Botanical Gardens of Villa Hanbury, Ventimiglia (Im). 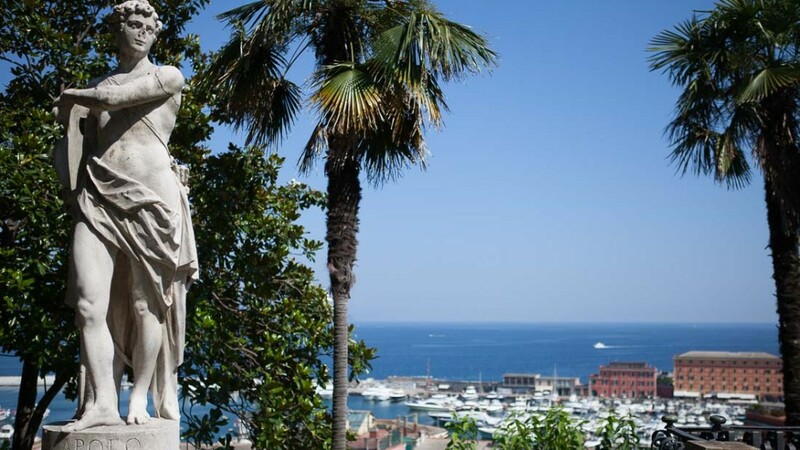 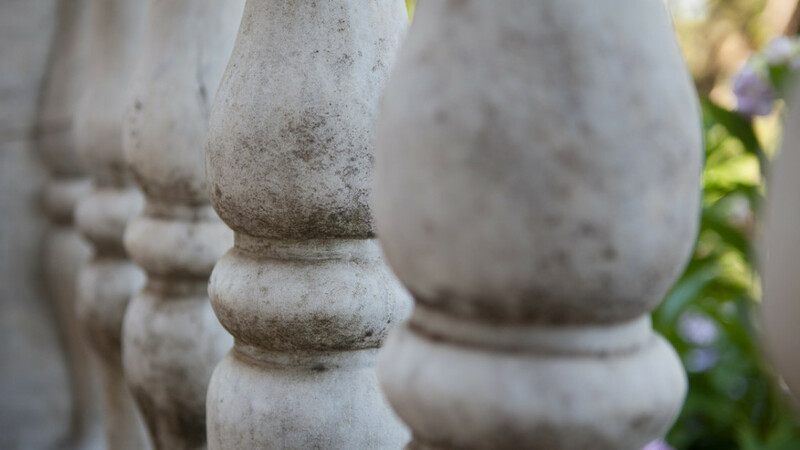 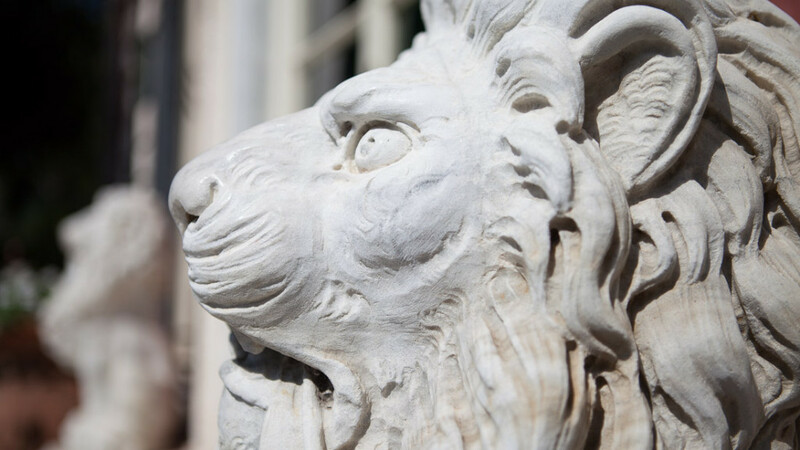 Overlooking the Gulf, everything is enriched by statues, fountains, flower beds and paths which wind up to the terrace in front of the villa. 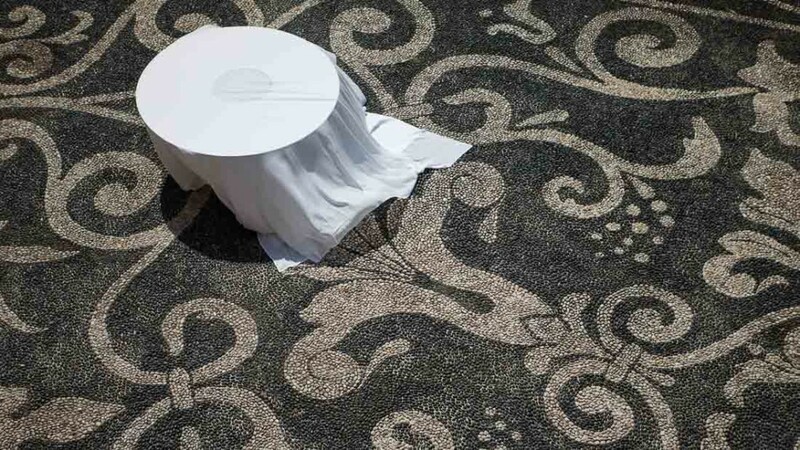 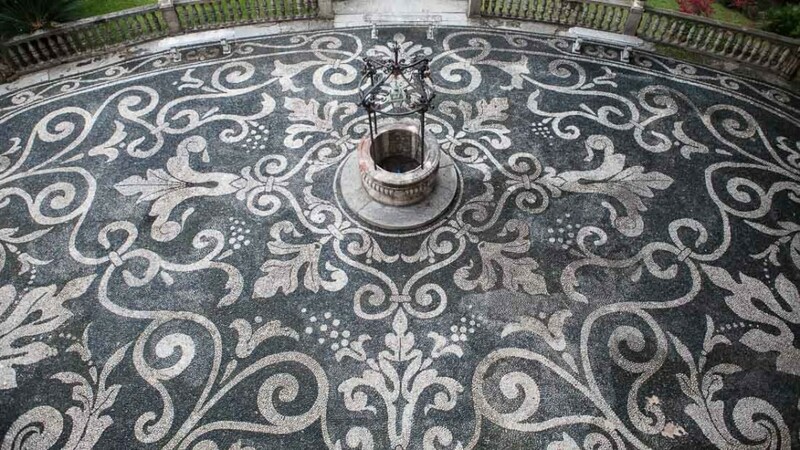 Here the splendid black and white cobbling with its floral decoration dominates, in the style of the “risseu”, the typical Ligurian paving using stones made round by the sea. 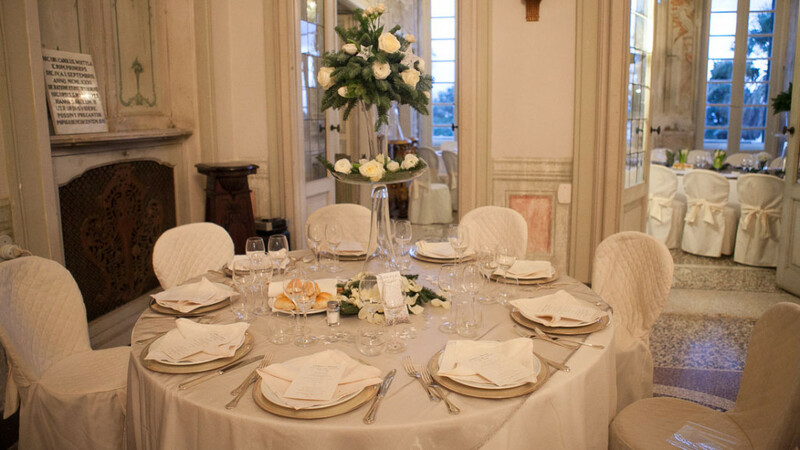 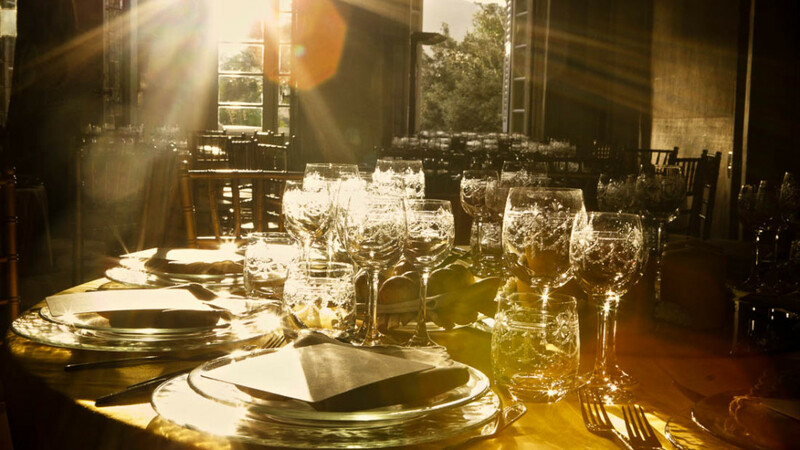 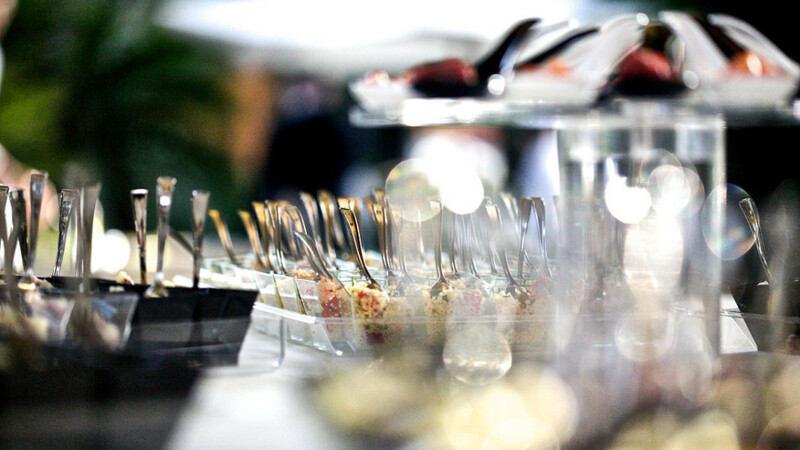 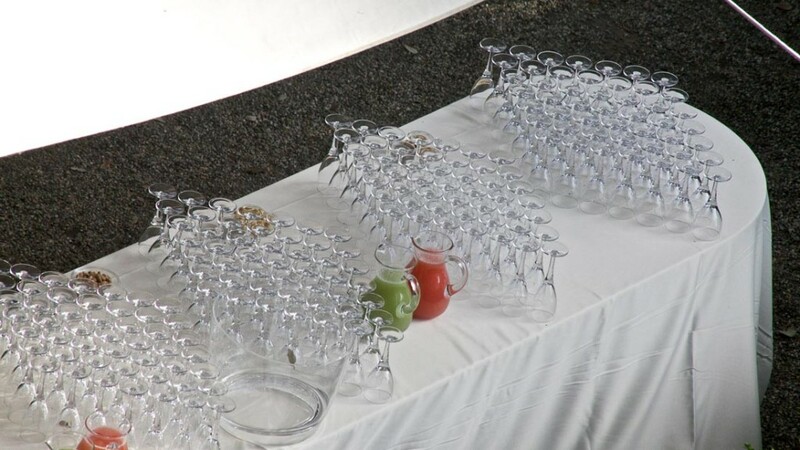 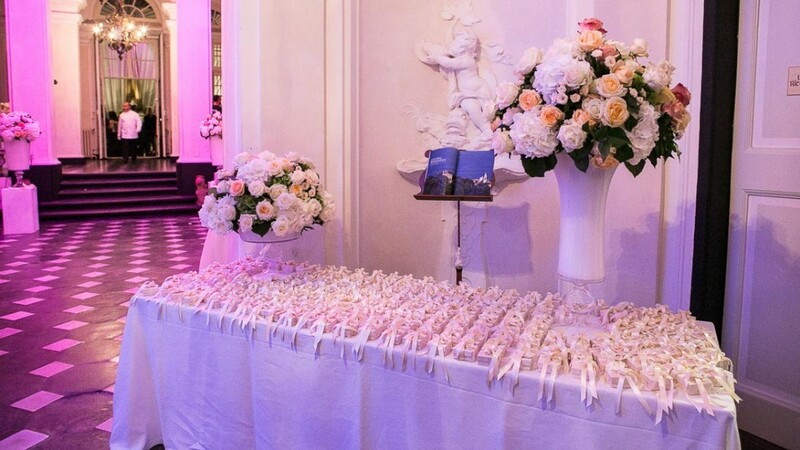 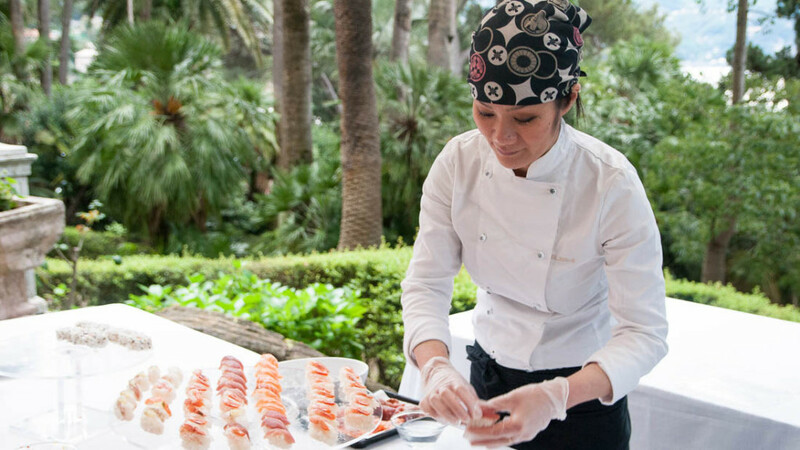 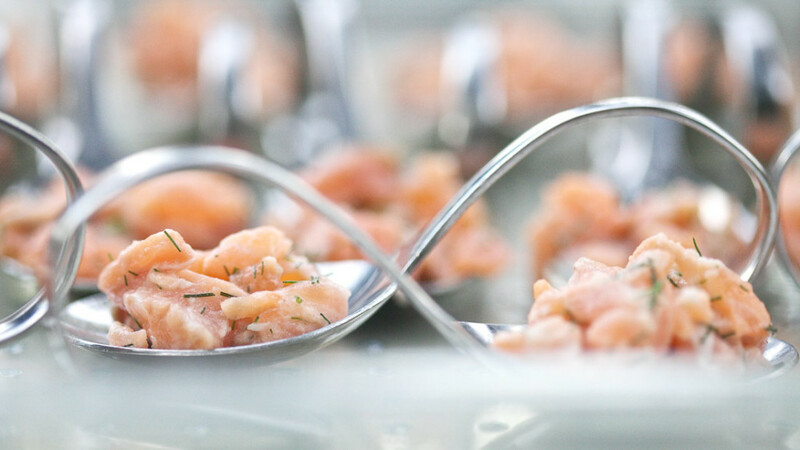 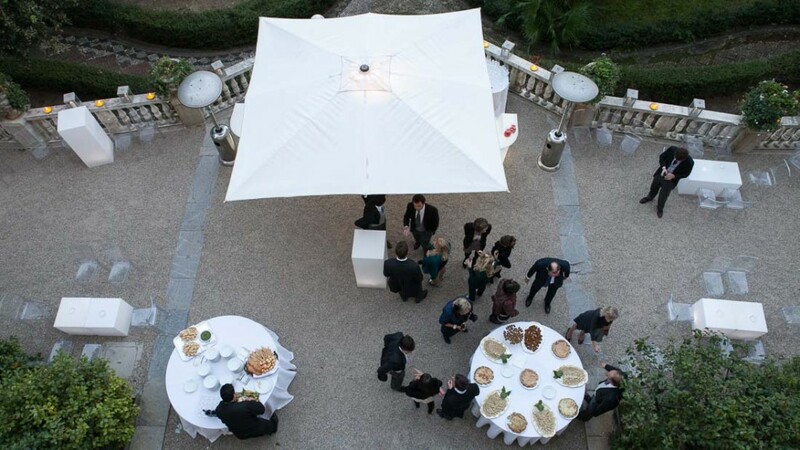 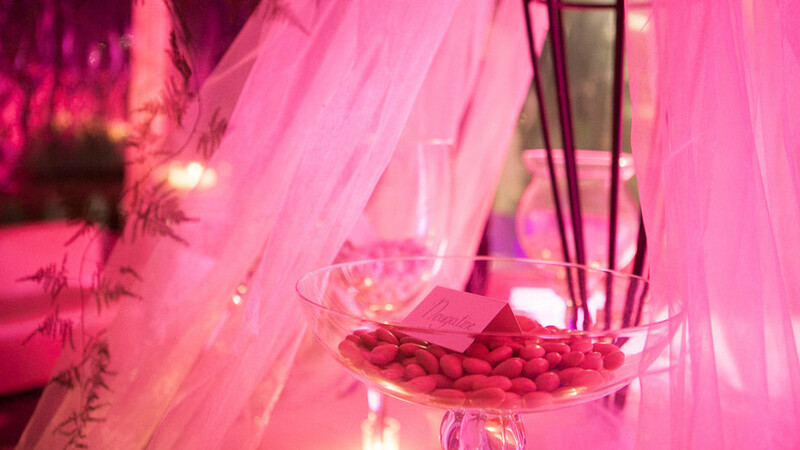 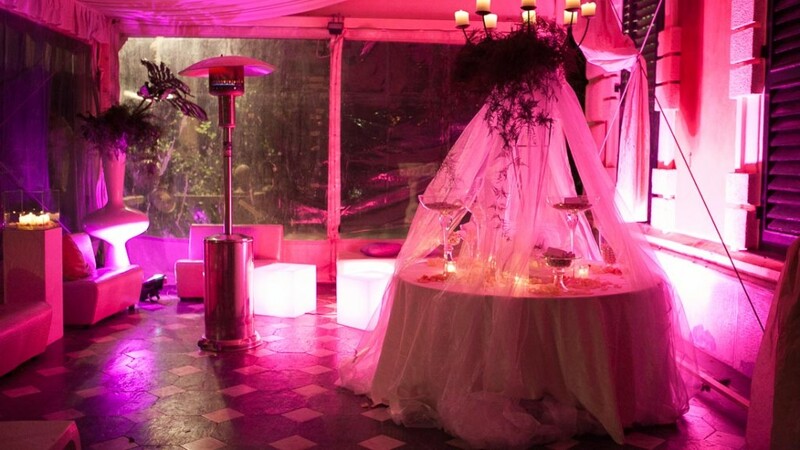 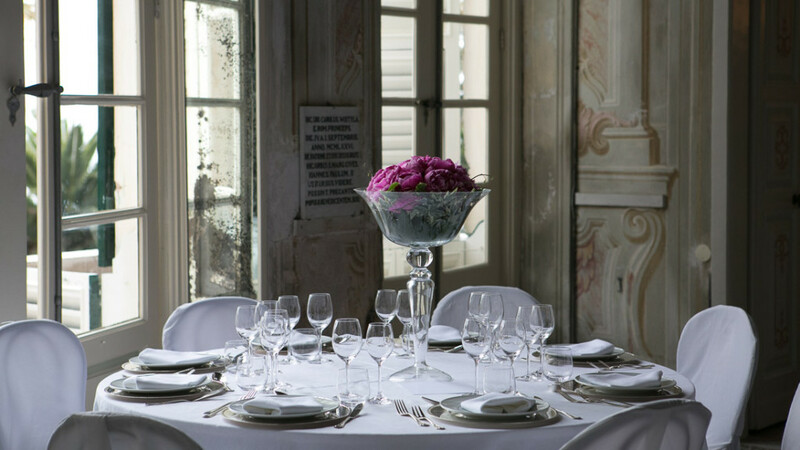 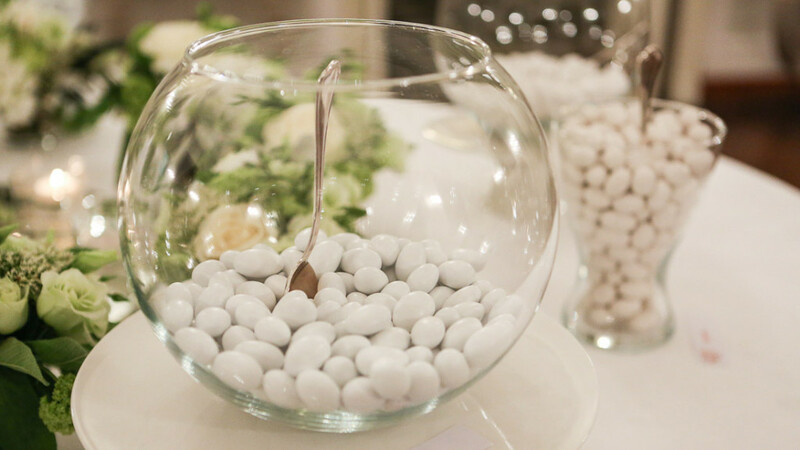 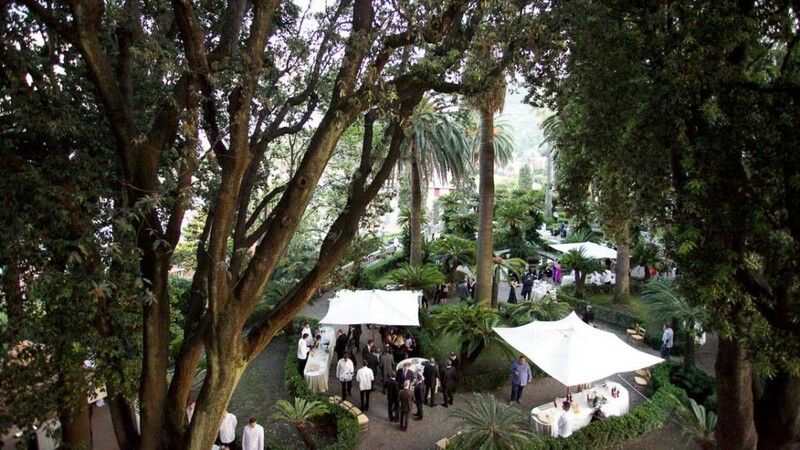 Catering and banqueting: Capurro Ricevimenti exclusive rights.